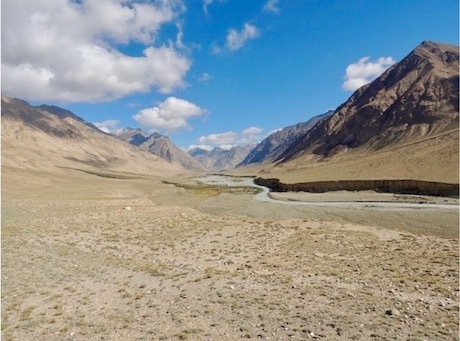 Venture across the jailoo pastures where Kyrgyz shepherds tend their flocks in the summer and on the edges of stunning Kol Suu Lake shores, the jewel of the jailoos, surrounded by mountains on all sides. You will move from jailoo to jailoo, staying with shepherd families in their yurts in remote meadows. Enjoy homemade jam, fresh cream, fresh bread warm from the oven, a felt handicraft workshop, and the best kymyz (fermented mare’s milk). Meeting at the airport and transfer to Bishkek hotel. Afternoon city tour in Bishkek visiting Osh Bazar, Tsum, Oak Park, and Ala-Too Main Square. After breakfast leave for Karakol, a 7 hour drive. On the way, we visit the 10th century Burana Tower architectural complex of the Great Silk Road. We visit one of the biggest collections of petroglyphs near Cholpon-Ata, and visit the Rukh-Ordo complex. Upon arrival in Karakol we have a short city tour visiting the Dungan Mosque styled as a Chinese pagoda, and the Russian Orthodox Church made of wood. Dinner and overnight stay in a guesthouse. On the second day we pass through the Aylanysh Pass (3560 m) to the valley of Almaluu. On the way you can admire the lakes of Ailanysh and the glacier of Tashtanbek Torbashi peak (4360 m). The trek time is about 5-6 hours. Overnight in tents. From Ortok Pass (3780m) you can see a magnificent view of the nearby peaks, from where we travel 4-5 hours to Altyn-Arashan hot springs, where you can bathe. You will never forget the sight of the snow-peak Palatka (5260m) beneath the open sky. Overnight in local hut or yurt. After breakfast, we travel two hours to Arashan Gorge, leaving Karakol for Bokonbaevo village. On the way, we stop in Seven Bulls gorge to visit the the Valley of Flowers (2-3 hours) and Red Canyon “Skazka”. Arrival in Bokonbaevo village, for dinner and overnight at Bel-Tam seaside yurt camp. After late breakfast, a transfer to Tash-Rabat Caravanserai en route stopping in Kyzyl-Tuu Village, the village of the Yurt Masters (or boz-ui in Kyrgyz), stopping for lunch in Kochkor. Dinner and overnight in a yurt. Transfer to Kol-Suu, taking around 5-6 hours. Picnic lunch en route. Dinner and B&B in a yurt or tent camp. Cross the Echkilii Pass (3990m). Descend to the southern shore of Kol-Suu Lake. Tent camping. Trek time: 5-6 hours. Today we will take a two hour boat trip to other side of the lake to arrive to northern lake shore, for our transfer to the yurt camp for lunch. After lunch transfer to Naryn Town for our overnight accommodation and dinner in a hotel. Direct transfer to Bishkek (5 hours). Lunch en route in Boom Gorge at café. Overnight stay for your departure the next day.